And now our Instagram DolltownInc page! Dec 20 Books at Christmas...with Dolls! Dec 21 Lula Star in Australia! Lula has her own Instagram page! *Disqus comment capabilities have been added to most posts on Hiya Dolly! A doll named Holly wants a girl, a girl wants a doll and a family, and a couple want a child... Can it all work out? 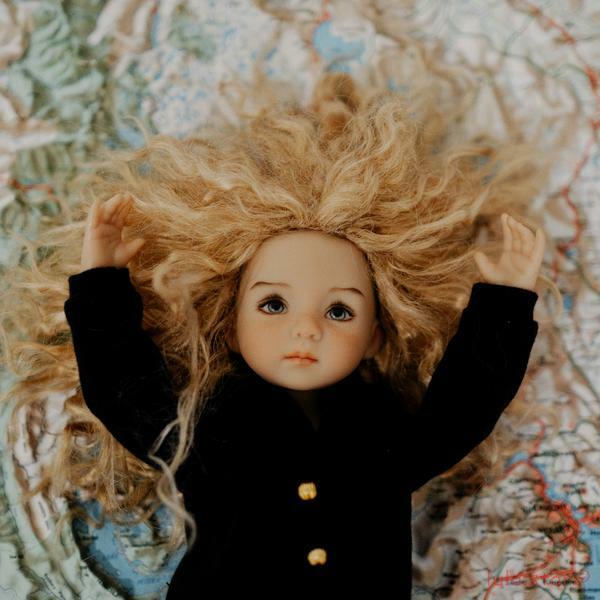 The story of two orphaned sisters whose lives are changed by a magical doll. 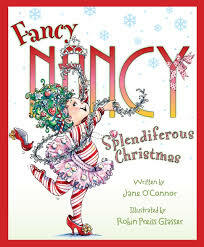 Look for Fancy Nancy on our Doll Talk page! with 26 dolls to teach the letters! Four of these books are available as Kindle eBooks! 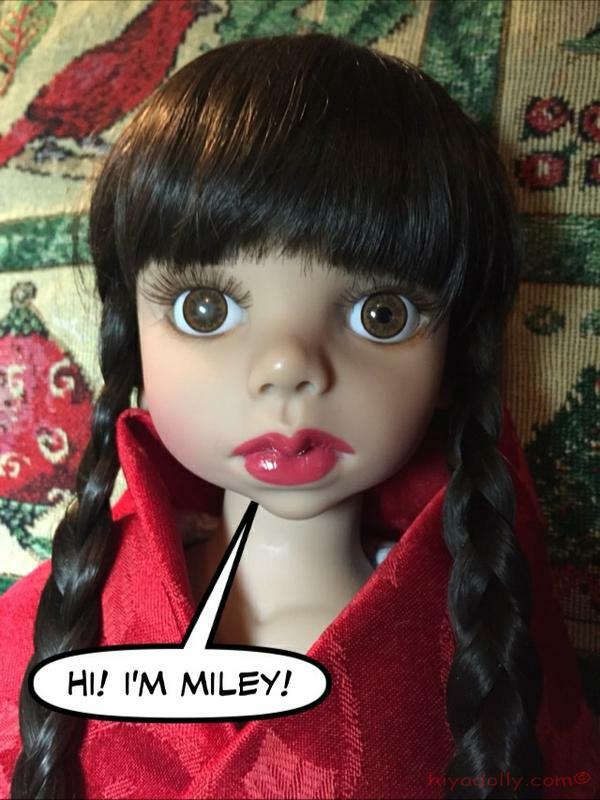 Support Miley's wish for a new outfit! Why is Brian wearing Will's cast offs? Green overalls! We like green, Scout said to him. And Scout brought him a pair of boots to wear. Scout is getting him to pack up cans and jars of food to take to the door for the Foodbank. There are dolls and humans less fortunate than us, she said to her new helper. And she changed his name to Badger. Scout calls him Badge. What? Can she do that? Read the full story on The Children's page today! See the photos! Click here to see Hiya Dolly's fun dolly book about the letters of the alphabet!. Christmas Stockings for the dollies! You-Know-Who gathered the tiniest stockings she could find and asked Santa to bring some gifties for the dolls. Dolls for dolls! And sleds and books, and treats! It was fun dressing up in a borrowed Dark Cape at Halloween, and I feel kind of Christmasy in a red shawl that is really a paper napkin. But I guess I would just like a real change, for a change. Two dolls who won't be here for Christmas...the Paola Reinas, Ling and Quilla! Guess who took them on her trip to see her family on Salt Spring Island...Aunt Jacalyn! Lucky girls. 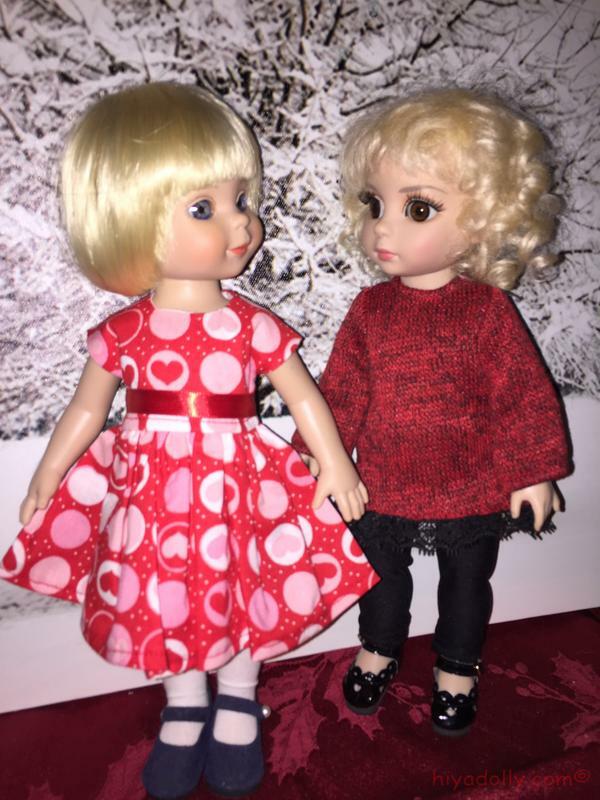 Quilla and Ling were dressed in their Christmas finery, put on their winter coats, and headed out in their doll bag. First, Vancouver to a party! So exciting! We are waiting for photos. And what about Lula...who left Dolltown in November? What else is happening in Dolltown? Lula, who has been communicating quietly with us since she left Dolltown in November, has splashed out big with her own page on Instagram. Photos and stories...just like in Dolltown! Lula is in Australia on an adventure with our Lani, a geologist and photographer. The two of them packed their swim suits, donned their backpacks, and hopped the Greyhound bus on the first leg of their journey. After a few photos, there was silence for a while as they both reached their new home in Melbourne, and joined Finnigan Johnson, the famous Tasmanian hydrogeologist and puppeteer. But this week, photos have arrived showing Lula out in the field with Fin and Lani, and prepped for the next adventure...a road trip around Tasmania, Fin's boyhood home. Then Christmas at the relatives. And the news! Lula, a star on Instagram! You MUST read the blog and see the photos on Hiya Dolly. And visit Lula's page on Instagram, of course! Oh my gosh. We love you Lula, AND your spirit human. And her fellow, Fin. 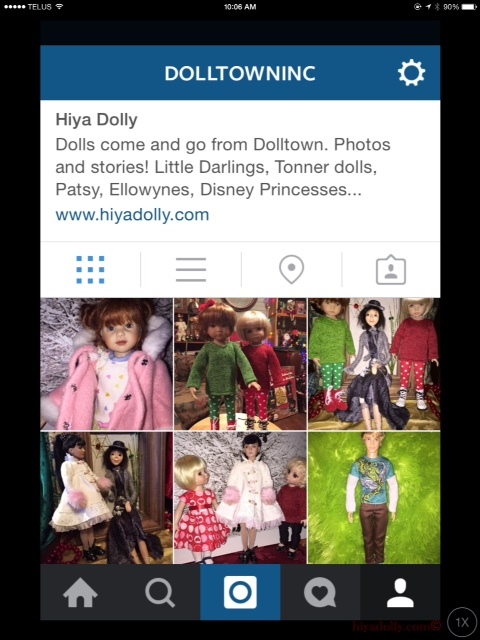 This means...Hiya Dolly's Dolltown now has an Instagram page! We want to be Followers of Lula.Star! And Lula is following Dolltown news to keep up with all the action here! 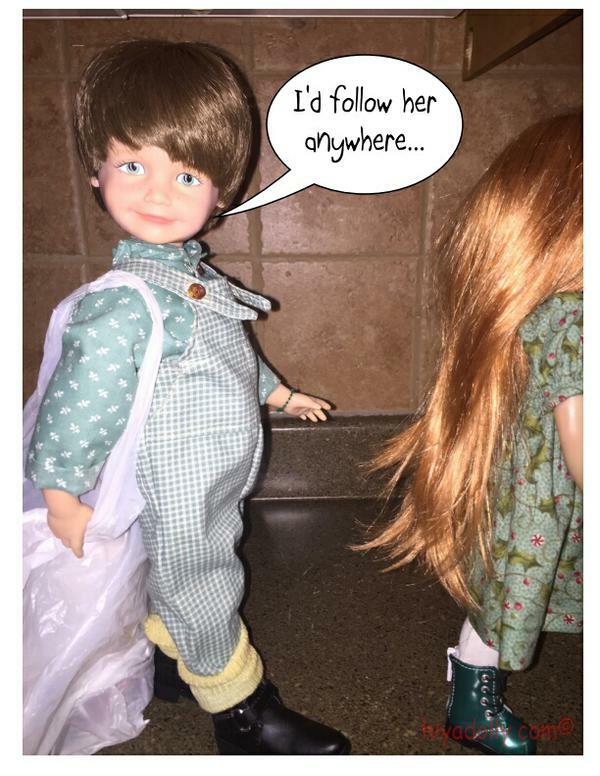 On Instagram's DolltownInc, Lula probably read about the haircut her buddy Owen got after she left for Australia. Owen had really wanted to go with Lula to Australia and see some Tasmanian Devils. But he didn't get to go. Was it the way I look? he wondered. Am I not Aussie enough? But he had no idea what Aussies look like. So he fashioned himself after the Fin man himself, Finnigan Johnson, man of the outback, a true Australian. Well, Tasmanian! Even better, in Owen's eyes. Hiya Dolly's Alphabet Book Two. It's happening just as soon as the Christmas rush settles down. Who doesn't want to be in a book, right Owen? What, Owen? Can you have your own Instagram page? Well, how about another photo soon on DolltownInc's page?